Join Matthew Kluk, curatorial assistant, photography at the San Francisco Museum of Modern Art, in dialogue with Isobel Parker Philip, curator of photography at the Art Gallery of NSW, for this talk and tour, which will provide a unique insight into the work of one of the most celebrated photographers of the 20th century. 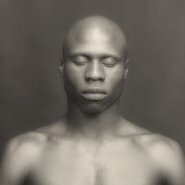 Start in the study room for a discussion of works in the Gallery’s collection that align and resonate with the photographs Robert Mapplethorpe himself collected and from which he derived influence. Then visit the exhibition Robert Mapplethorpe: a perfect medium to get a more in-depth understanding of the artist and his practice. After the tour, why not continue the discussion over a drink in the Gallery?